The above downloadable worksheet was created for high school students, elementary school students and adults at Elementary (A1), Pre-intermediate (A2), Intermediate (B1), Upper-intermediate (B2) and Advanced (C1) level. 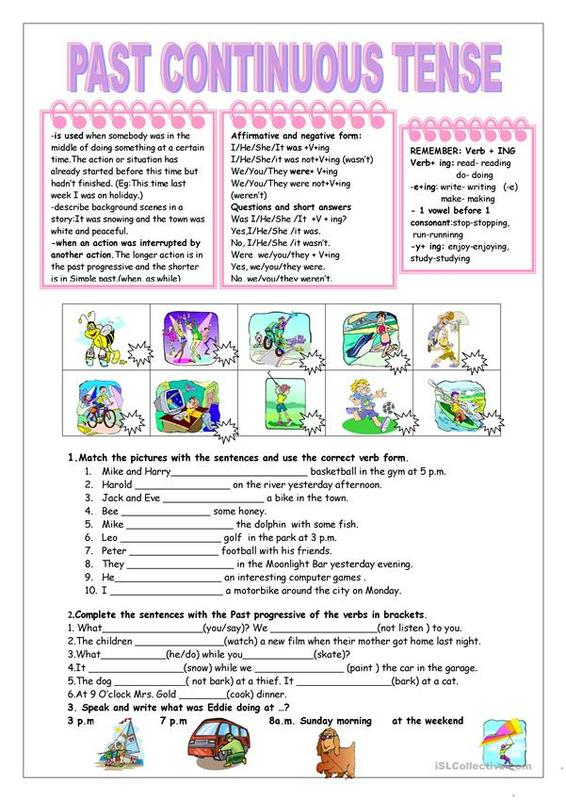 It is aimed at consolidating Verb tenses in English, and is excellent for developing your pupils' Speaking and Writing skills. It focuses on the vocabulary topic of Actions. There is an answer key provided with the exercises.